very cool review. can’t wait to play it. Thanks. If you can, go for the digital version. It sounds like the 360 discs are causing all sorts of bugs right now, unfortunately. I actually feel the same way about the show and have been feeling the zombie burnout as well (along with vampires). But…I just downloaded the the first chapter of this game after seeing a lot of praise for it. I actually cannot wait to download the other three chapters and play it towards the end. So far, I think it definitely (from only playing the first chapter) has a better story than the show. I am still trying to get used to the pace of the gameplay a bit. Great review! Now I want to play the rest of the chapters even more. Side-note: I also own “Grave of the Fireflies”, it is definitely one of Isao Takahata’s finest. Thanks! The best thing about this game is that it only gets better with each episode. The third and fifth ones are especially memorable. Definitely cannot wait to play the rest of the episodes. What an insightful and personal review – thanks so much for that. 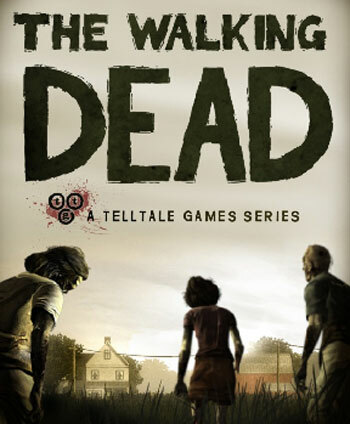 I still find anything Zombie related compelling, I really liked the show – I’ll be sure to get this game. Sounds the complete opposite of an FPS which is what I would have expected. Thank you so much. Yeah, I’m so glad that they didn’t go the FPS route with this game (though apparently there is one on the way later this year). 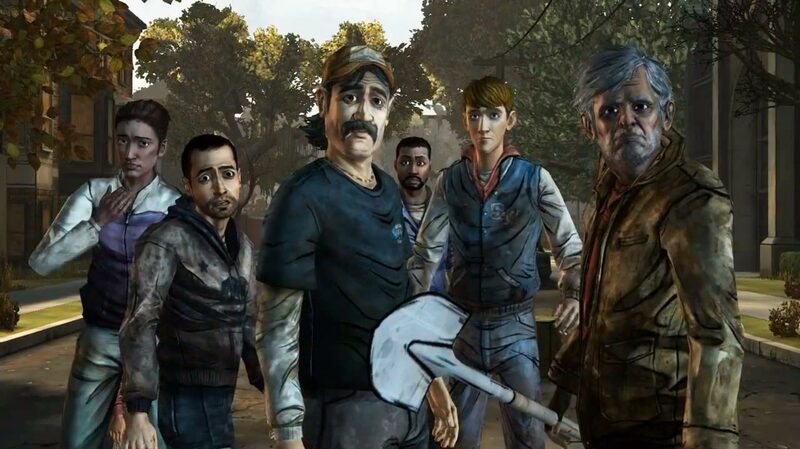 The point-and-click adventure gameplay really translates well to the Walking Dead universe, forcing it to rely heavily on the writing and character development. Since those are the two strengths of the series, it works out quite well. Skim read it as Im about to start Episode 5. So good so far, cant wait but also dont want to finish it!! Finished it and loved it!!! 🙂 Cant wait for the next season!!! I named it my GOTY for 2012 and its also one of my favorite games of all time. The story and the conclusion are just so epic…I loved every second of this series. I hear ya, man. I don’t give out 10/10s very often, but this one absolutely deserved it. Loved this game. Mass Effect 3’s “Deal with the Genophage” level evoked similarly strong feelings from me, as well as the moments with Anderson just before the Great Glass Elevator comes and ruins everything. The difference here is that this game has a tone, and no matter what choices you make, you feel like you’re a) writing your own amazing story… and b) completely fucked. Can’t wait for “Season 2”. Thanks for this review man. I played the demo on xbox live and wasn’t sold on the “best game of the year” praise it had been getting. but I realize that was just a demo. reading your review makes me want to give it a shot. I’m not sure what the demo entails exactly, but this is a game that builds momentum the more you play it. It’s all about building character relationships and doing everything you can to survive, even if that includes making decisions that cost the lives of others. It can get pretty brutal, man, but it is masterful storytelling. Great review, but I played the first two episodes when they were on PS+ and totally did not care for it at all. Not my style of game; I was actually bored by the end of the second episode. Maybe if the other three episodes ever get released for free for PS+ members I’ll complete it, but my time with the first two episodes left me with no desire to play the rest (at least not paying for it). Ah, bummer to hear you couldn’t get into it, man. The first two episodes give a pretty good idea of what to expect, though the decisions get increasingly brutal after that (especially episode three). At least you gave it a fair shot. Oh man, I love the TV show. I don’t play many games but perhaps I’ll have to buy this one and settle down for a week playing it, looks perfect! This one is great to play in increments, as you could easily knock off an episode per night if you wanted to. Each episode is roughly two hours long, so you’re looking at about 10 hours total for the five episodes. Short enough to be finished at a decent clip while long enough to satisfy. 🙂 Hope you check it out, man! Wonderful to read a review that contain such emotions and that it was a game that “caused” them is even greater to hear. As you know I’ve always been looking for games that trigger emotions and this seem to be a great one then. I have to check it out soon; it’ll go straight on the should-play-soon list. Thanx for the great review! No problem man, glad to steer you in the direction of this one. 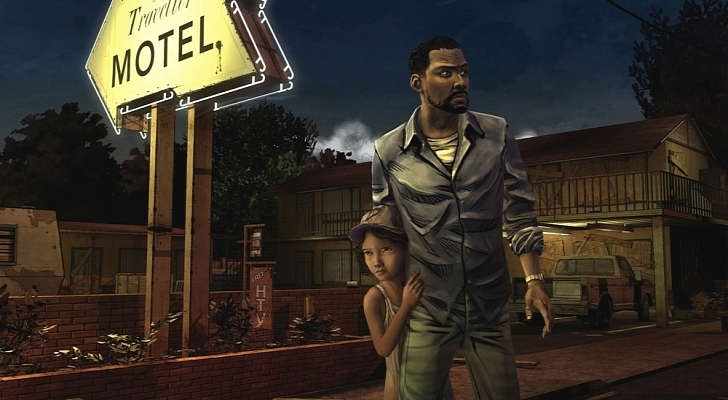 Easily the most emotional experience I have ever found in a video game. Great review Eric, I’m in complete agreement. A standout achievement that I’m sure we’ll look back on as a landmark moment for video-game stories and characterisation. For Clementine! Thanks, Dave! If this game is a sign of things to come, I’ll be very happy. Can’t wait to see where this series goes next.